If last year was a year of disruption, this year was one in which the movement towards change took off – and many investors were left floundering and uncertain. In 2018, it wasn’t the housing market or the Reserve Bank that provided the volatility and unpredictable outlook. While a two-speed, main centre vs the regions situation remained at play, the market trucked along through the year at a slow, steady pace. Price growth and sales activity are slowing, but the experts aren’t picking a crash or major correction. In a similar vein, the Reserve Bank offered up only pleasant surprises: they kept the OCR on hold at the record low of 1.75%, made no further moves towards the introduction of debt-to-income ratios, and, once-again, eased the LVRs at the end of the year. So rather than the usual suspects, it was the new Labour-led coalition government and its ambitious programme of reform aimed at addressing the housing crisis, which was pushing the wave of change. 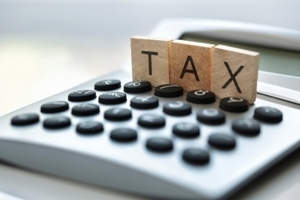 One of the most significant areas of change for investors has come in the form of tax policy. The Government is on a mission to make the tax system fairer and, as part of this, it has targeted investors – who it appears to view as simply speculators. Back in March, the bright-line test was extended from two years to five years. More recently (December) the Bill which will lead to the ring-fencing of rental losses was introduced in Parliament. There appears to have been little impact, to date, from the extension of the bright-line test. However, investor advocates believe that ring-fencing rental losses will have a significant, detrimental effect on investors, particularly smaller or newer investors. They also believe the change will negatively impact on the rental market. Meanwhile, the Government’s Tax Working Group (TWG) has been hard at work this year. It is not due to release its final report until February 2019, but it did release its interim report back in September. Although it did not make a definite call on the introduction of a capital gains tax (CGT), it is widely expected the TWG’s final report will recommend a CGT. Investor advocates are opposed to the introduction of a CGT. But not everyone is convinced that any such recommendation would bear fruit. Well known property investor David Whitburn thinks NZ First, which has previously opposed a CGT, could well veto such a recommendation once the final report is released. Even if the recommendation is adopted, Labour will have to campaign on it in the next election and National have said they will repeal a CGT if one is introduced. The other major area of looming change for investors is the Government’s crusade to make life better for tenants. This encompasses both its tenancy law reform proposals and its proposals for the Healthy Homes minimum standards. Both sets of proposals have been controversial and investor advocates have called for balance in the reforms. NZ Property Investors Federation executive officer Andrew King says some of the tenancy law changes proposed could result in landlords having less control of their rental properties. More recently, a report by Tailrisk Economics principal Ian Harrison found that claims made about the benefits of ensuring rental properties meet the Healthy Homes minimum standards were exaggerated. Harrison also says expectation should be that, at least in the medium term, rental costs will be passed on to tenants. On top of these changes, the Government’s bans on foreign buyers and letting fees have both now come into effect, in October and December respectively. It’s open for debate what sort of effect the foreign buyers ban will have, but landlords who use property managers are set to bear the costs of the letting fees ban. Many property management companies have said they are planning to pass them on from tenants to landlords. One final area of uncertainty in 2018 which seems worth noting relates to meth contamination. In May, Sir Peter Gluckman’s released his bombshell report which said that third hand exposure to meth is not a health risk. It also recommended that a standard of 15 micrograms per 100cm2 (as opposed to the current 1.5 mcg standard) should be adopted. Many people welcomed the report and both Housing NZ and the real estate agency adopted the new standard immediately. Then, in October, the Tenancy Tribunal announced it will accept 15 micrograms per 100cm2 as the minimum standard for meth contamination in rental properties. But the official standard has yet to be changed and that means insurers are not changing their policies. As a result, many investors remain uncertain about how they should approach the spectre of meth in their rentals.